"Georges Seurat, Henri Rousseau, Giorgio de Chirico, Auguste Renoir, Vincent Van Gogh — all of us associate these names with great innovations in painting, but how many of us have had the opportunity to look long and close enough at their work to understand those innovations? To feel them, in other words, rather than just to know about them? 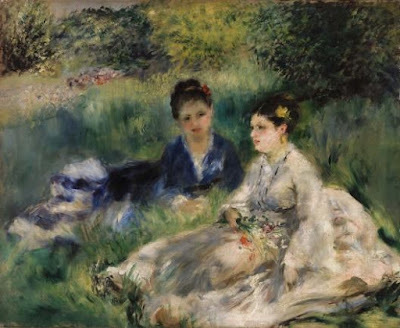 The Barnes Foundation in Philadelphia has just recently made it possible for us to contemplate thousands of works of art including those of Impressionist, Post-Impressionist, and early Modern masters, zoomed in up close and at any length we like, by digitizing their collection and making it free online. ..."